John Lennon, with characteristic force, once famously observed that before Elvis there was nothing. Now, I like a sweeping generalisation as much as the next man but as an old grey-beard I’ve also learned that the rule tends to be proved by the inevitable exception. So I feel it incumbent on me to say that Lonnie Donegan, the founder of Skiffle music in Britain, really did strum the first immortal chords of Rock ‘n’ Roll in the United Kingdom. In addition,in the the process of recording fine records such as, ‘Rock Island Line’, ‘Grand Coulee Dam’ and, ‘Cumberland Gap’ he inspired every superstar British rocker who followed, from Paul McCartney to Mark Knopfler, to launch their careers in music. There are also two other pre Beatles records, both featuring wonderful lead playing by disgracefully under appreciated guitarist Joe Moretti, which would fully merit their place on any roadhouse jukebox. I urge you to spare some of your precious time to listen to 1959s magnificently kinetic, ‘Brand New Cadillac’ by the enigmatic Vince Taylor (the supposed model for David Bowie’s immortal creation Ziggy Stardust) and the thrillingly evocative film noir swagger and strut of, ‘Shakin’ All Over’ by Johnny Kidd and The Pirates from 1960. As is the way of things most people who know, ‘Cadillac’ know it from the properly rowdy cover by The Clash while, ‘Shakin’ found wide fame through inferior versions by, ‘Guess Who’ in North America and Normie Rowe in Australia. Sometimes the originals really are the best! Everyone knows that The Beatles were from Liverpool and it was also from that great city on The Mersey that Billy Fury, Britain’s only remotely credible pre Fab Four rocker, hailed. He now has a permanent memorial there through a proud statue which adorns the Albert Dock – an appropriate location for a man who spent two years working as a deck hand on a Mersey tug boat The Formby. Billy as you can see from the image above was moodily handsome in the vein of James Dean, Chet Baker and Elvis. He also sported a mighty quiff and looked dynamite in neon coloured jackets! Moreover, in contrast to almost all his pre Beatles contemporaries, he had a sense of the creative energy and spontaneity at the heart of the revolutionary music sweeping all over the world from the American South. Billy, like millions of us, had his head, his heart and his soul set aswirl by the epoch shattering sounds of Elvis, Jerry Lee Lewis, Chuck Berry and Little Richard. He also had affection for the folk art masterpieces produced by the Orpheus of Alabama, Hank Williams. Perhaps it was Billy’s childhood experience of rheumatic fever resulting in a permanently damaged heart that gave him his fatalistic sense that he would die young, his aura of diffident vulnerability and a wounded charisma that was particularly attractive to his female fans. His career proper began in 1958 in, ‘You wouldn’t dare make it up’ circumstances. Eighteen year old Billy attended a Birkenhead, Liverpool rock/pop revue concert featuring a series of artists promoted by the Svengali like show business manager Larry Parnes. Hearing the self penned songs Billy (then known as Ronald Wycherley!) was pitching to Marty Wilde and instantly recognising his marketability Parnes pushed the trembling Billy onto the stage and by the next morning Ronald Wycherley was rechristened Billy Fury and off on the road in the tour bus! Girls liked Billy’s looks and his sometimes shy, sometimes shameless, performing manner while the male members of the audience had to admit that he really could rock out when he wanted to. Both sides of the Fury persona were featured on the 10 song album, ‘The Sound Of Fury’ with every song written by Billy, that he recorded in a single day in April 1960. The, ‘not too far from Sun Studio’ lead rockabilly guitar was provided by Joe Brown and the solid drums by Alan White. The whole album is over in half an hour yet it had then and still now retains the visceral impact of true Rock ‘n’ Roll. Billy on record at least never really approached the kind of ecstatic abandon Elvis and Jerry Lee reached (who ever has?) but uniquely for Britain at the time he embodied an affecting personal engagement with his material and vocals that I still find admirable and moving. His recurring poor health, lack of driving ambition and the erratic tides of popular taste left his career as a Rock ‘n’ Roll star effectively marooned once the Beatles led beat boom hit its stride in the mid 60s . Yet amazingly, it turns out he had as many 60s hits (24) in Britain as his fellow Liverpudlians though their sales both in Britain and worldwide would, of course, have dwarfed his. Though he continued to write and record and always had a core of life long devotees he became one of those, ‘Whatever happened to’ figures so plentifully present in music history. Billy, whose health was never robust, finally succumbed to his heart problems and died in 1982 aged only 42. Looking back, few who listen carefully will ever forget his look and his alluring voice. There is a poignancy about him that clutches at the heart. To my mind Billy’s ability to inhabit a mysteriously powerful vulnerability reached its zenith with a record that haunted Billy (he recorded it three times) and will surely haunt you too – ‘Wondrous Place’. This is one of those songs where you feel like you are eavesdropping, in an unsettling yet addictive way, to a very intimate psychic drama. Billy seems to be singing to himself as he walks alone in the pre dawn early morning hours down some lonesome moonlit road; perhaps some Merseyside dockland version of Hank Williams’ lost highway. There is a sleepy reverie suggested by the slow river drifting tempo and the heartbeat percussion. Billy’s lovely humming breaks and artful hesitations combined with his tender, airy vocal seems that of a man trying, not entirely successfully, to persuade himself that the wondrous place he hymns is his to revisit when he wills. There is more of the wistful goodbye to love lost in this performance than a celebration of a continuing relationship. ‘Wondrous Place’ lasts less than two and a half minutes but as you listen you feel it lasts a much longer time. Somehow it makes you aware of all the individual breaths of life that fill all the seconds, all the minutes of all the days and nights you have left to you. 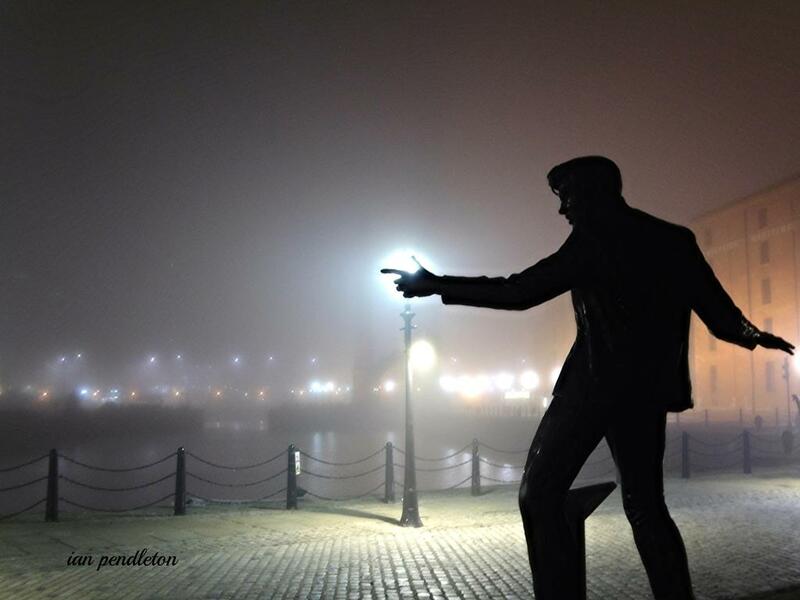 And, perhaps all of us carry memories; recalled on moonlit walks or quiet moments snatched from the hourly burly of everyday life of a wondrous place that we can never quite recapture though we can revisit it in the echoing halls of our imaginations – especially when a singer like Billy Fury shows us the way.